Prosecutor-General Kumbirai Hodzi yesterday had the last laugh after the Constitutional Court ruled that an application challenging his appointment to the esteemed offices was filed out of time. Justice Paddington Garwe made the ruling in the case in which one Mr Simbarashe Zuze was contesting the appointment last month of Mr Hodzi as the substantive Prosecutor-General. The judge sitting in his chambers upheld submissions by lawyers representing President Mnangagawa and his co-respondents the Judicial Service Commission and Chief Justice Luke Malaba, Justice, Legal and Parliamentary Affairs Minister Ziyambi Ziyambi and Mr Hodzi — that the action brought against the Head of State was deemed abandoned and incapable of being heard let alone treated as urgent. Ms Fortune Chimbaru of the Attorney General’s Office represented President Mnangagwa and confirmed the latest development. “Their application has been deemed abandoned for failure to comply with rule 9(5) of the Constitutional Court rules which requires the filing of proof of service within two days,” she said. Adv Lewis Uriri instructed by Mr Addington Chinake of Kantor & Immerman represented Chief Justice Malaba and the JSC. Adv Uriri said the ruling means the application was a nullity hence there was nothing before the court to talk about. Adv Uriri, however, said the matter would be brought as a normal court application, as the judge decided to restrict himself to deal with the issue of urgency. In the main application, Mr Zuze asked the apex court for an injunction declaring Mr Hodzi’s appointment unconstitutional, null and void. He claimed President Mnangagwa breached the constitutional obligation imposed upon him, when he picked Hodzi whom he said was among the lowest performers during the interviews. 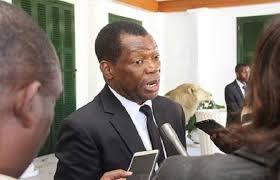 But in their response, the JSC and Chief Justice Malaba insisted that the elevation of Mr Hodzi as substantive prosecutor-general last month is legal and constitutionally valid. Mr Hodzi was one of the 10 candidates who were interviewed publicly for the esteemed post at the end of 2018. The JSC argued that the process of appointing the prosecutor-general is regulated by Section 259(3) as read with Section 180 of the Constitution. “The President exercised his discretion and appointed the fifth respondent (Hodzi) to the office of the prosecutor-general,” said the JSC. The JSC set the record straight when it stressed that the method of scoring candidates during public interviews was not prescribed by the Constitution. It said it came up with a system as one of the considerations before preparing a list for submission to the President. “How candidates are ranked in the public interviews is by no means the only consideration taken into account by the JSC when preparing a list of qualified persons,” the JSC said. The JSC further stated that in making recommendations for the appointment, the commission was not limited to the score sheets, but would also take into account other attributes such as the personality and diligence of the candidates as well as the need for gender and regional balance. In this regard, the JSC argued that Mr Zuze’s application was without basis and bad at law. The other candidates were Mrs Noria Mashumba, Mrs Florence Ziyambi, Ms Jessie Majome, Mrs Wendy Chingeya, Justice Maphios Cheda, Mr Misheck Hogwe, Mr Tinomudaishe Chinyoka, Mr Edmund Marondedza and Mr Tichaona Mantsebo. Mr Hodzi has been acting PG since July 24 last year and replaced Advocate Ray Goba who resigned mid last year.